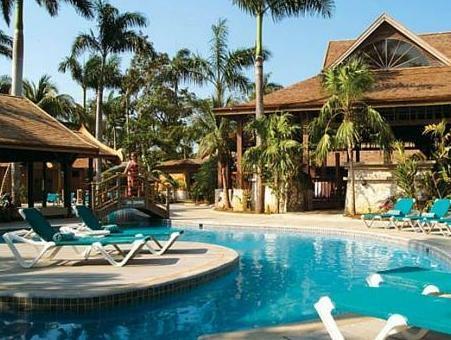 ﻿ Best Price on Sunset at the Palms Resort - Adults Only - All Inclusive in Negril + Reviews! 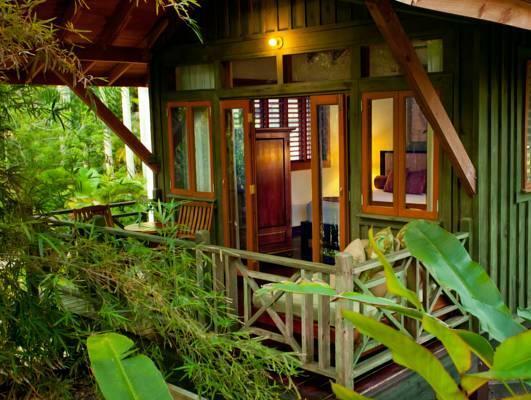 Boasting 1.9 mi of private sandy beach, a full-service spa and gourmet dining is this luxury resort in Negril, Jamaica. 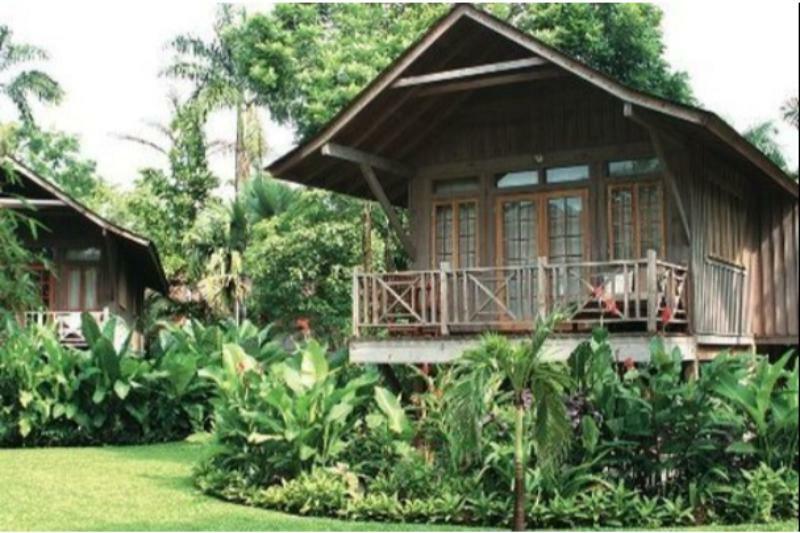 It features treehouse-style rooms nestled among the 10-acre tropical garden. Every room features an open balcony with a day bed. 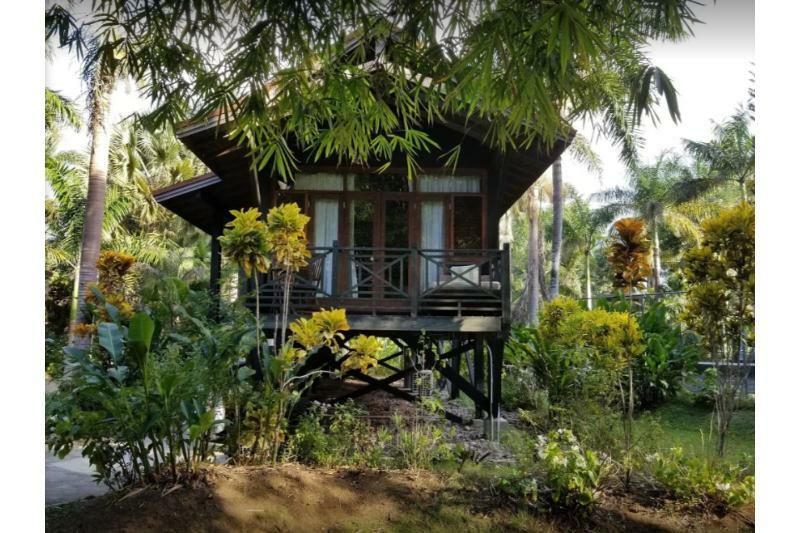 Satellite TV, free Wi-Fi and a mini-bar are included. Sunset at the Palms Resort’s rooms are styled with dark-wood floors and have Asian-inspired furnishings. Guests can lounge poolside or work out in the well-equipped fitness center. Other on-site activities include tennis courts, beach volleyball and snorkeling. Sunset Resort’s Palms Spa offers massages, facial scrubs, and body and beauty treatments. Caribbean and international cuisine is served at Palm Grove Restaurant. Fine dining is offered at Lotus Leaf, while sandwiches can be enjoyed beachside at Palm Breeze Bar & Grill. Drinks are available at the pool swim-up Bamboo Bar. Negril Airport is 2.7 mi from this resort and the Negril Lighthouse is 5.7 mi away. Please note no guests under the age of 18 years old can be accommodated. Guests are required to show a photo ID and credit card upon check-in. Please note that all Special Requests are subject to availability and additional charges may apply. Stayed 6 nights the staff were fantastic the food and drinks awesome, definitely would return just a little far from Australia. Everybody so friendly and beach bar grill a wonderful place to hang out with plenty of shade.